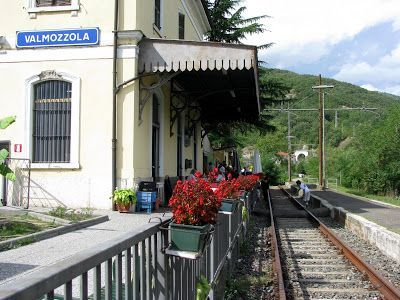 Below you find our favourite restaurants near our house in the Borgo val di Taro area. The Valtaro cuisine famous for its mushroom dishes (pastas, fried etc), good meat and cheeses, famous deserts (with wild honey) and pasta dishes like tortelli di erbete. All year round you can eat wild f.i. boar, deer (cinghiale, capriolo). Our most favourite restaurant is Pizzeria La Mimosa, 5 kmtrs from our house. Firmly attached to the church of Baselica. Simple, but honest and delicious regional kitchen, tipical for the Valtaro area. 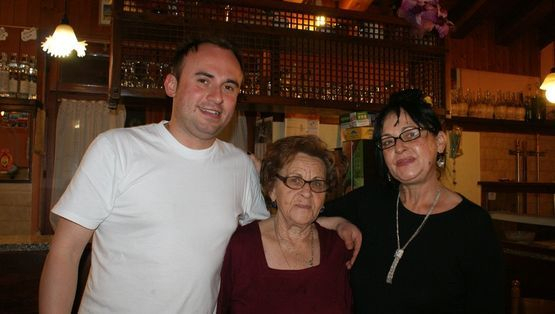 Meet the very friendly owners (son Ivan who makes the pizza's, mama Franca, who is taking care of the guests and grandmother Aurelia, in the kitchen, cooking the delicious dishes). They are famous for their stone-oven pizza's. 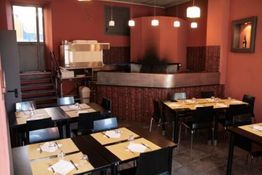 If you do not want to eat pizza but want to try Aurelia's authentic cooking ask for "ristorante" and enjoy their daily fresh dishes (slow cooking). Familiar atmosphere. The prices are good, you can eat a full meal with entrance, main dish and desert, with water, wine and coffee for less than 30 euro's per person. Pizza around 6 -8 euro's, pastas from 8-15 euro's, Main coarses from 10-15 euro's .......Highly recommended by the owners (and gourmands) of Casa del Porticato. They have been specially honoured by the mayor of Borgo val di Taro, after starring in a regional cooking show with their excellent and pricewinning regional dishes on italian television (Rai 1). Honoured with special thanks for their contribution to the worlds recognition of the tipical regional Valtaro cuisine and slow food. Franca e Aurelia, le due anime del ristorante "La Mimosa" di Baselica, dopo i successi televisivi della "Prova del Cuoco", sono state invitate e accolte dall'intero consiglio comunale di Borgotaro. Che ha riservato loro una serie di meritati ringraziamenti, per aver portato all'attenzione del grande pubblico, con grande capacità, la bontà della nostra cucina. Partire da Milano, ad un certo punto della propria vita, della propria avviata carriera, lasciare tutto e rilevare un ristorante. A Baselica, un'antica frazione di Borgotaro, in mezzo ai boschi dei funghi; da dove, tanti anni prima, la propria famiglia era partita. Rilevare un ristorante e, cosa non facile, farlo funzionare a dovere. Con una bella cucina a base di piatti tipici, con un'accoglienza sempre familiare. Con il buon gusto del buon cibo. Passano gli anni, passano tante fatiche e arrivano le soddisfazioni: fino alla TV, fino a disputare alcune sfide, vincenti, alla trasmissione "La Prova del Cuoco", su RAI 1. E, nello stesso tempo, avendo così l'onore di portare in tutto il mondo, nel modo migliore, il nome della cucina tipica della Valtaro. 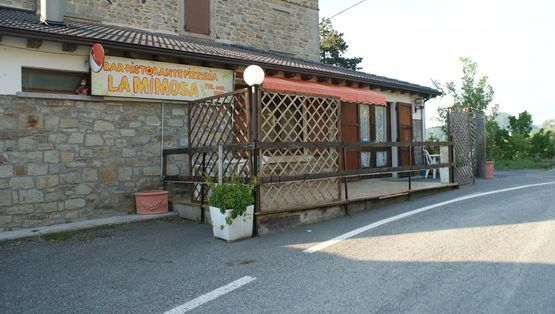 E' per questo motivo, soprattutto per questo, che il Consiglio Comunale di Borgotaro ha voluto tributare il giusto riconoscimento a Franca e a sua madre Aurelia, le due anime del ristorante Mimosa di Baselica. Lo ha fatto con le parole, con le congratulazioni pubbliche; lo ha fatto con un lungo meritato applauso, della maggioranza e della minoranza. Insieme. 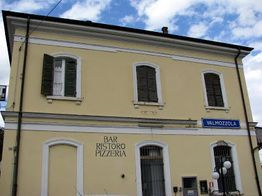 Very good Pizzeria in the center of Borgo val di Taro, owned by Father Dino Gatti and son Massimo Gatti. Prices of the pizzas vary from 6-8 euros. Worth visiting. Pizza's are fabulous...... recently Massimo Gatti also opened a pizzeria in Parma. 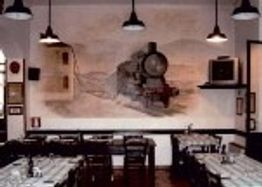 Regional kitchen, famous for their tartuffo dishes, great meats (they serve f.i. wagyu beef and bistecca Fiorentina) and magnificent and exclusive wines. 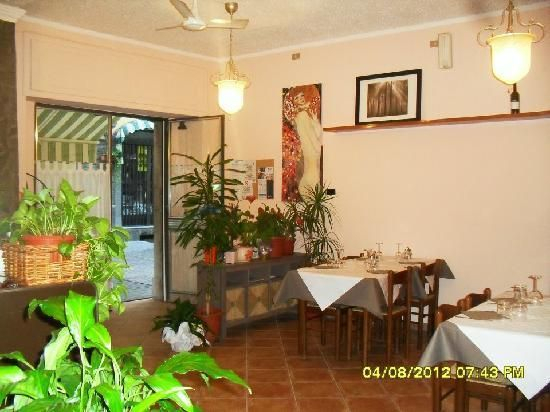 You can find this restaurant in the center of town off the shoppingstreet Via Nazionale. 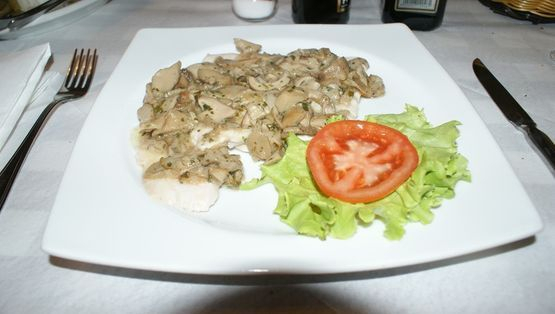 Prices full meals: average between 25 and 50 euros (and up) per person. Ask for their very old grappa or whiskey riped on charcoal. Both sensational !! 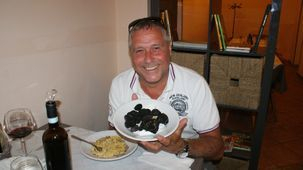 Wine: order a bottle of Barbera d Alba or Barolo with your truffel dishes.....combination made in heaven. The owners name is Cristiano, musician and clown (ask for pictures of his gigantic Danish Dog)... likes to sing, play the guitar and entertain. He shows off with his young kitchen staff tha he and his wife educated themselves...... 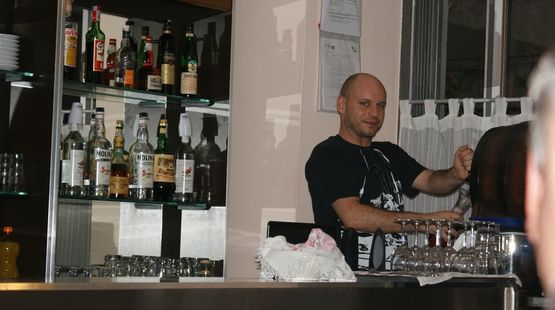 He has a range of very fine and exclusive italian wines in a wide price-range varying from 12-300 euros a bottle. Vecchio Borgo belongs to one of the best restaurants of Borgotaro..... Everything from simple and very payable cuisine and meals to as exclusive and expensive as you want..... see also our blog. 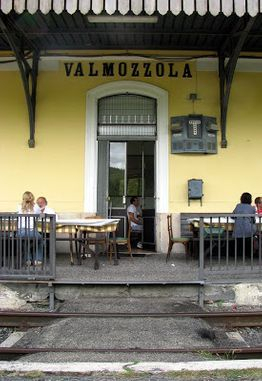 Restaurant in the old station building of Valmozzola near Borgotaro. Friendly and lively ambiance, famous for their regional kitchen. Fresh homemade dishes. Good food, good prices. Op de weg van Borgotaro naar Bedonia op de hoogte van Pieve di Campi, ligt in de bocht van de weg (strada provinciale SP4) dit restaurant aan de rechterkant. In dit restaurant eet je voor lunch een voor- en hoofdgerecht en koffie na, met wijn en water voor 12,50 euro. Prima maar simpel eten. let op geef wel aan dat je voor het menu komt. Alleen doordeweeks, dus niet in het weekend. Veel lokale werklui eten er hun lunch...... 's Zomers kun je er aan de voorkant buiten eten.